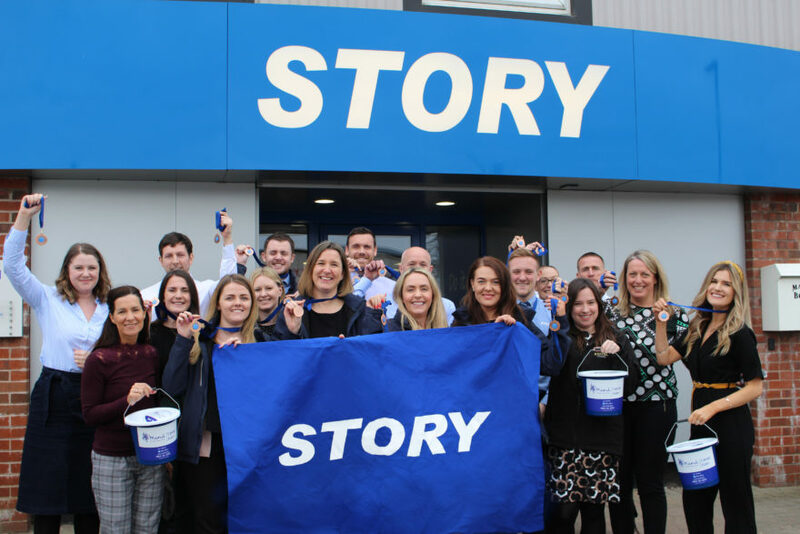 Story Contracting employees have gone the extra mile for the company’s charity partners, Mind and the Scottish Association for Mental Health (SAMH). Over 35 employees laced up their trainers and took on the challenge to run or walk a collective 1,000 miles over March, to raise awareness and money for two important mental health charities. Despite suffering injuries and battling bad weather, Team Story – made up of employees from across the company’s regional offices in Carlisle, Leeds and Glasgow – went above and beyond, almost doubling the miles and fundraising £1,000 in total. Jason Butterworth, CEO of Story Contracting, said: “We are very proud of our employees who took on the challenge to raise £1,000 for our charity partners Mind and SAMH. The fun and fit challenge was created as part of the company’s two-year commitment to support and raise money for Mind and SAMH. Jason said: “Breaking down stigmas around mental health is something we’re passionate about at Story Contracting. To date Story Contracting have fundraised over £9,000 for the two charities through initiatives such as ‘Dress Down Friday’ and a number of charity sporting events. In 2018 the company also helped transform Carlisle Eden Mind’s Lighthouse, which offers support to people in times of crisis. Thank you to Carlisle Glass for donating medals to Team Story.